Presenting real choices for a global voice, and broad impacts, helping others, globally. The Seventh Generation Prophesy says the seventh generation since the cultural disruption of North America by the Europeans will lead a new era of cultural sovereignty. During a unique Native Youth Digital Storytelling workshop held as part of the Nov 18-20 Border to Border Broadband Conference: Better Together, 25 Native youth aged 10-17 years learned how broadband and specific creativity apps can give them the ability to leverage the impacts of their Native Values with a global voice, creating video tutorials to empower an unlimited number of peers as stewards of the Earth, Sky, and our one human family. This opportunity was made possible by a grant from the Shakopee Mdewakanton Sioux Community. The First Ojibwe Digital Generation now has the tools and skills to teach the roughly one million Native youth nationally, as well as potentially the 4 billion young, and poor, learners who will be coming online by 2020, if they so choose to use their new global voices. How Native Values relate to their choice as to whether to act, and innovate, or not, begins with their opportunity to first share their new skills locally, to express, celebrate, and preserve their culture, first locally, and then, ideally, globally. A new day of rural, and indigenous, sustainability, and cultural sovereignty, is upon us. Special thanks to Dr. Kathleen Annette, President and CEO of the Blandin Foundation, for her hard work on this important issue. We took our campaign to wire rural America for high-speed broadband to a friendly audience on Friday – helping the Blandin Foundation cap a week-long conference that brought some of the state’s best minds together in Minneapolis to help free thousands of Minnesotans from dial-up Internet – and connect them to 21st Century communications. Explaining my Rural Broadband Initiative Act to consolidate hundreds of millions of dollars in rural broadband programs under a single federal office and develop a national strategy to connect the countryside, I pointed out that 22 million people across rural America are still living in the dark ages of high technology. That means trouble for small communities struggling to compete, attract new people, create good jobs, expand educational opportunities and advance local health care. We need the same kind of big thinking on rural broadband that Franklin Roosevelt used to establish the Rural Electrification Administration (REA) and the Rural Telephone Administration (RTA) in the 1930’s. When Roosevelt established the REA in 1935, about 1 in 10 rural homes had electricity. By 1953, it was 9 out of 10. In 1949, when the RTA started making loans for rural telephone service, only about 1 in 3 homes had telephones. By 1975, it was 9 out of 10. President Roosevelt and his generation passed rural electricity and telephone service on to us. We need to pay that legacy forward by passing 21st Century high speed broadband on to future generations of people who will live, work and do business across rural America. 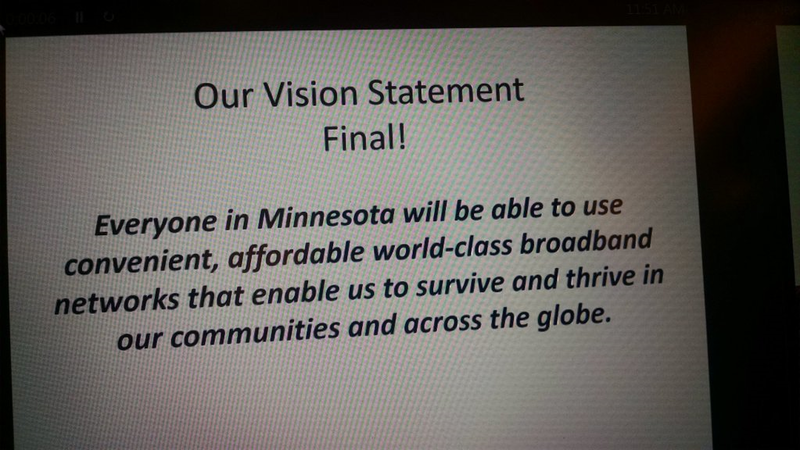 Last week – while the Minnesota Broadband conference was happening in St Louis Park, the Pioneer Press ran an editorial from Annette Thompson Meeks from the Freedom Foundation of Minnesota. The letter alluded to the conference (although they had the wrong date) and the keynote speech from Susan Crawford. Here’s a cheat sheet on the issues at hand. Susan Crawford encourages the option for local government to provide broadband to residents and businesses as a utility. The Freedom Foundation discourages government intervention because of the risk involved with using government money to build, maintain and run a broadband provider business – citing a study done by Charles Davidson and Michael Santorelli that included a profile of the network in Monticello. Narratives matter in politics and policymaking. How an issue is framed and the evidence offered in support combine to tell a distinctive story about a particular issue or industry; the goal is to pique the interest of stakeholders and animate or deter a particular type of response. In the context of the market for broadband Internet access in the United States, two competing narratives have emerged, each with a unique set of arguments, evidence, and desired outcomes. Whether GONs [Government Owned Networks] are a prudent and appropriate investment of public funds and other resources is the subject of fierce debate. Advocates and opponents alike cite an array of reasons, data points, successes, and failures as evidence of the wisdom or folly of having a municipality enter the broadband market as a service provider. In many ways, this debate is a microcosm of the larger conversation about broadband in the United States and which of the competing narratives more accurately reflects the consumer experience and the realities of the marketplace across the country. The problem is that there is no singular “consumer experience” across the county or in Minnesota. As Bernadine Joselyn is fond of saying, if you’ve been in one small town in Minnesota, you’ve been in one small town. They are all different. I recently had reason to dig into county-level data on broadband. We hoped to find the magic ingredient to better broadband. We’re still looking. There is risk in a community-owned network. But there’s risk to the community in not having broadband too. It’s difficult to measure the negative capability inherent in not doing something but there is a cost of doing nothing – the loss of opportunity. It’s not the job of a private business to take on that risk (all the more credit for those who do!) but it responsibility of local government to remove barriers for their local businesses and citizens. Community broadband networks are a door that should be open to local governments – it will be the right door for some and not others. It will rarely (I have never seen it) be the first door a community tries. I’ve seen the communities where the door is shut on them and they do risk loss of business and residents. Those costs are as hard to recoup any investment risk. I’m going to call the 2015 Broadband conference a success! Thanks to everyone who attended. Highlights include the announcement of the Border to Border Broadband Fund recipients, an inspiring talk from Susan Crawford and the crafting of a new Minnesota Broadband Vision. For a more complete view of the conference, check out the video recap from Bernadine Joselyn. We were delighted to have Senator Franken join us at the end of the conference. 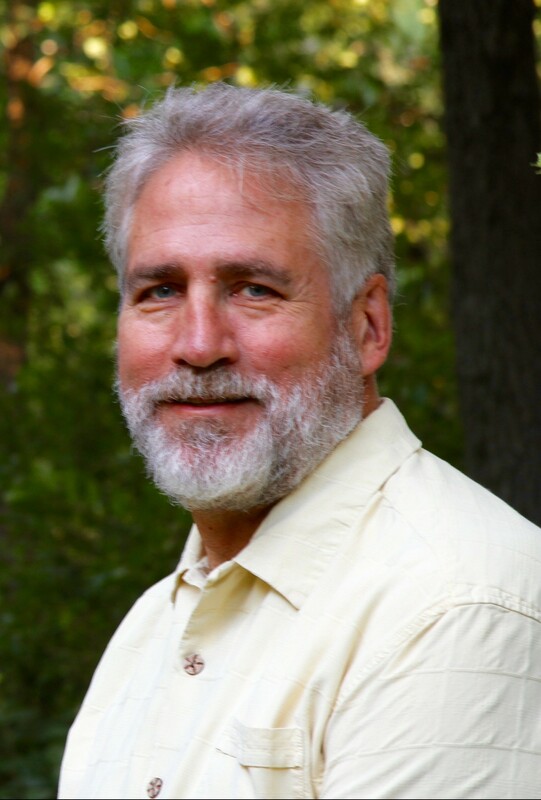 I want to thank Tim Marema from the Daily Yonder for sharing his audio of the talk with me. You can hear the speech in its entirety. One added highlight was when Rep Thissen suggested the Legislature consider $100 million for broadband in 2016, Rep Kresha suggested closer to $30 million and a representative from Senator Dayton’s office announced that he would be suggesting a budget significantly higher than what he suggested in 2015 ($30 million).